Taryn is the winner of Vol 2 – 33 and Vol 3 – 15. 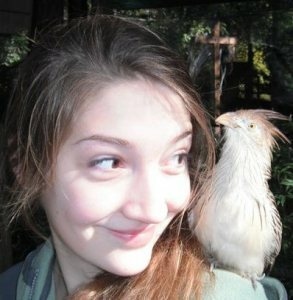 She is a writer and lover of all things furry, fine, and feathered. She can currently be found in the Shenandoah Valley of her home state Virginia, playing temporary mom to the adoptable dogs at the animal shelter where she works, chasing down birds (was that a black and white warbler?! ), acting in community theater, and of course holed up in her apartment writing her YA fantasy series, The Fenearen Chronicles, along with short stories, creative non-fiction, and most recently, a slew of flash fiction.